We are proud to launch the new moorVMS-TREND system designed to aid routine monitoring of flaps, replants and transplants in clinical research environments. 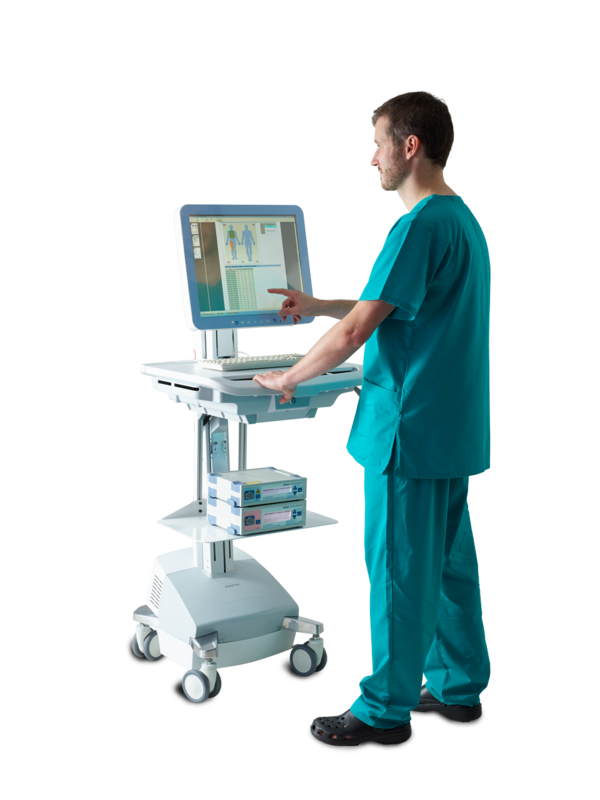 The illustration right shows a complete installation with medical grade touch-screen panel PC, battery backed mobile stand, moorVMS-LDF laser Doppler monitor and moorVMS-OXY tissue Oxygen monitor. The software itself features a noise rejection protocol for cleaner traces that are easier to view as well as a high level of automation e.g. automatic baseline monitoring and alarm setting. The software features a searchable patient database and flexible reporting/ exporting options. If you would like further information or to arrange a no obligation trial, please contact your nearest sales team!